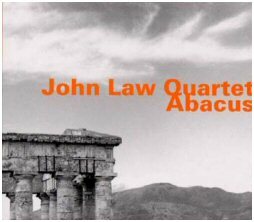 John Law played with his trio in Charleville-Mézières on mai 17th 2011. 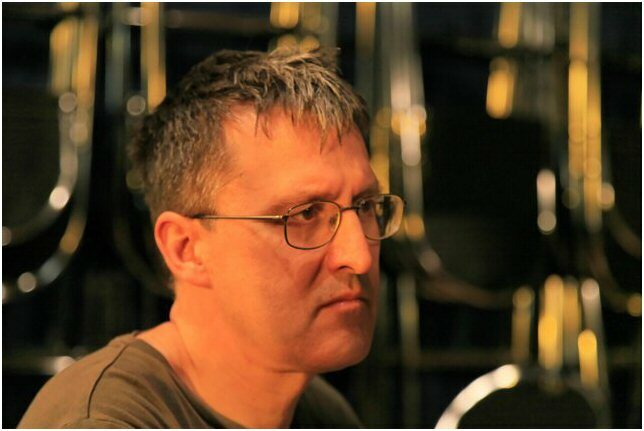 John, you played a concert in Charleville-Mézières on May 17th, with Asaf Sirkis and Yuri Goloubev. It was a great discovery for the audience. Can you present this trio and the different bass-players you play with? Firstly, to explain the issue of bass players, I occasionally use, in the Art of Sound, the wonderful, young British bass player (known for his work with the band Empirical) Tom Farmer. But the news is that the line-up of myself, Yuri Goloubev and Asaf Sirkis will very soon be fixed as my working trio and will, from the Autumn, be called instead Congregation. I'm very happy indeed with this line-up. I think it's really special. I might have originally, when I first wanted to form a piano trio in 2005, started out looking for a drummer and a bass player but I've ended up with two absolutely unique and (each in their own way) complete Musicians. And the way they play together, so melodically, and rhythmically so together, so tight and yet so free of the pulse. I think all of us together, when we play really well, are more than what we are individually, because together it produces something else, something totally different..
Can you present the Art of Sound series ? It started with the drummer Asaf recommending to me the studio in Italy Artesuono, run by the amazing engineer, who works for Manfred Eicher and ECM sometimes, Stefano Amerio. When we recorded the first album I realised, even before we had the title of the CD, that there was more music to be made by me at that studio. So when I thought of calling the recording by the English translation of Artesuono: The Art of Sound, I immediately decided to call it also Volume 1. A year later and I wanted to do some solo piano recording there and came up with many hours of music. 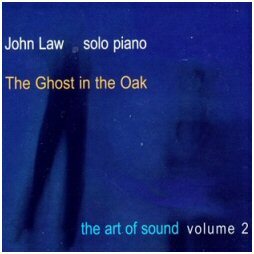 So I chose to release two volumes of solo piano and bring them, as they were both done also at the same studio as Volume 1, into the Art of Sound series and call them Volumes 2 and 3. After that it was just a case of finishing off the four CD set, completing the circle as it were, with another trio recording. That was Congregation, The Art of Sound Volume 4. The new trio is a continuation of the old trio (which had the fantastic Sam Burgess on bass) but also slightly different. So I wanted a new title, not the Art of Sound anymore. 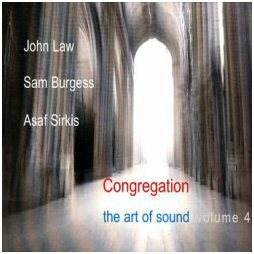 But to keep a link with the old trio (and to make a reference to one of my compositions for the old trio which was extremely popular) I chose the name Congregation. Congregation also has a religious meaning and I quite like that: the idea of people all congregating to celebrate something common to everyone. We’ve been presenting your trio as a kind of « power trio », in the the way of EST or the Bad Plus, with great classical music roots. Do you agree with this introduction? Absolutely! But definitely not just power. I also hope there are other influences there: Tord Gustavsen maybe? I'm listening to and adding influences the whole time. I'm currently listening a lot to a simply wonderful British/Danish trio called Phronesis. You began studying classical music then switched to radical improvised jazz, and then played more melodic music, which showed and include your classical culture. What’s the logic of that course? I don't know. It was just my story. Classical music was very important to me (still is). It's my first love. Then I discovered jazz in my early twenties. But very soon I got caught up in freely improvised music. Which was great, but it did mean I didn't develop that side of my playing that I use now: harmony, rhythm/groove, playing on chord changes, learning tunes. You must imagine I spent nearly ten years worrying about how I should practise, whether it would make me less free if I practised anything recognisably melodic!! I really want to stay totally abstract. Crazy.. Now I feel I can play freely out of more knowledge of different styles and techniques. I think that classical music though will always be there in me. Everyone will always be able to hear it in everything I do. Everything I do that's true to me, that is. .You refer your work to Bach and baroque music, using the baroque suite construction on Abacus for exemple, and in the liner notes of “Out the Darkness “, you quote Shostakovitch. Which other composers have influenced your actual work? Oh my God there are so many influences. For example, there's a melody, the middle section of a trio tune called Watching, Waiting.. that came from Schubert, I felt. I usually like to leave it up to other people to see if they can hear what those influences are. Sometimes I'm not even aware myself. I go through different phases of listening to certain types of music. At the moment I'm in a period of NOT listening to other people's music! But I've been in a period when I was listening a lot to Ligeti or to Stravinsky, or Conlon Nancarrow or Richard Strauss or Wagner or. 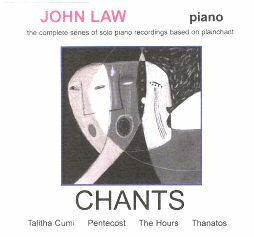 Between 1993 and 1998, you recorded a series of 4 cds of improvised music inspired by “plainchant” music ( medieval monastic music ) What about this project? That was a special period of about 5 or 6 years when I listened almost the whole time to Early Music. Coming across music performed by the Early Music ensemble The Dufay Collective, playing music from 13th and 14th century Italy, I then discovered for myself music from Plainchant, through Guillaume de Machaut, Dufay, Binchois through to the great choral music of the Renaissance: Josquin, Dunstable, Ockeghem.. I even adopted one of the harmonic devices, the Burgundy Cadence, into my improvised piano playing. If you know what it is you can hear it popping up all over the place in those four CDs! The first CD in this series (which is all called Chants; the first CD is called Talitha Cumi) is based of course on the Dies Irae, which is actually much later than plainchant and of course it's a melody I would have known as a child, from its quotations in classical music: Liszt, Rachmaninoff, Berlioz. Even in your other projects, you seem to consider music as a sacred art. Yes I do. And particularly I feel music is, at its best, devoid of ego. It's something much bigger than you or I. It exists and works best not because of my playing or someone else's amazing genius. It exists independent of us. We - the performer, the composer and, most important, the listener - just have to listen for it and find it. It's out there, waiting to be discovered. 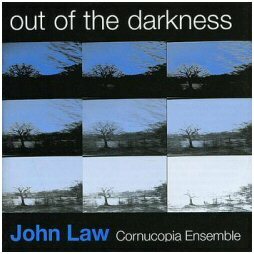 In 2004, you realased « Out of the Darkness » with the Cornucopia Ensemble, including a jazz quartet featuring Andy Sheppard, and a classical 8 musicians ensemble. I consider that this ambitious project is one of the best of all cross-over music I know. Can you explain this project, and would you like to realize again that kind of experience? It was a one-off project. I really enjoyed doing it but if I did anything similar again I don't think I would do it quite the same way. I would really like to write some through-composed music for orchestra. I've actually written some and I've started a large piece for orchestra which is still waiting to be finished. But I'm a bit unsure of my ability in this area, so it's something I'd like to work on more before I dare go public with it! One thing I will say about the Cornucopia experience is this: right from the beginning the classical musicians said that they didn't want to improvise. But I did give them a couple of small slots in the music where they had to improvise and, for me, these were sort of highlights. I was amazed at how fresh the sounds they produced were. No jazz licks there!! 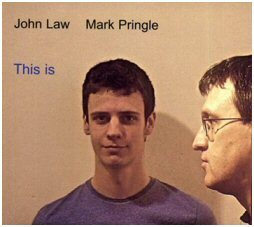 Your last album, very new, is a duo with Mark Pringle, a young pianist who has been one of your pupils. Can you present this duo? Mark Pringle is a very young and extremely talented pianist/composer. He's going to Birmingham Conservatoire to study jazz piano from September, on a scholarship. I've learnt a lot from him! I asked him whether he'd like to make a two piano recording before finishing with me. I thought it would be a nice way to end our lessons and would give him a good start at college as he would already have a CD and have a bit of a name and also experience in the recording studio and experience in the world of music business and CD selling (!). I never realised he would dedicate so much time to the pieces we decided to record. He sounds fantastic! I'm so proud of that recording. And the Bach piece we play to open the CD (last movement, fugue, from the two harpsichord concerto in C)... I think it sounds really amazing! A lot of the concept for the CD came out of a duo I had with the great British pianist Jason Rebello. Some of the material were tunes we used to do together (including the Bach). I learnt so much from Jason, more than I can say in this interview. So for me it was a way of paying respect to him, with this recording. But now we're going to be touring and promoting the CD, Mark and I, in the Autumn and in a tour of the UK next year. So I'm really looking forward to that. Playing with, and listening to, young people is so important to me. They have a special energy we older people just don't have.